We are celebrating with new faces, new designs, and a New Year promotion (coming in early January). Classic Rental Solutions welcomes Jessica Marchant (No, she’s not French, but she does have a Southern accent). Jessica was kind enough to share a little about her roots, experience, and personality in this interview. Best part about South Carolina? The beaches are beautiful. They’re very tropical and the water is always warm. 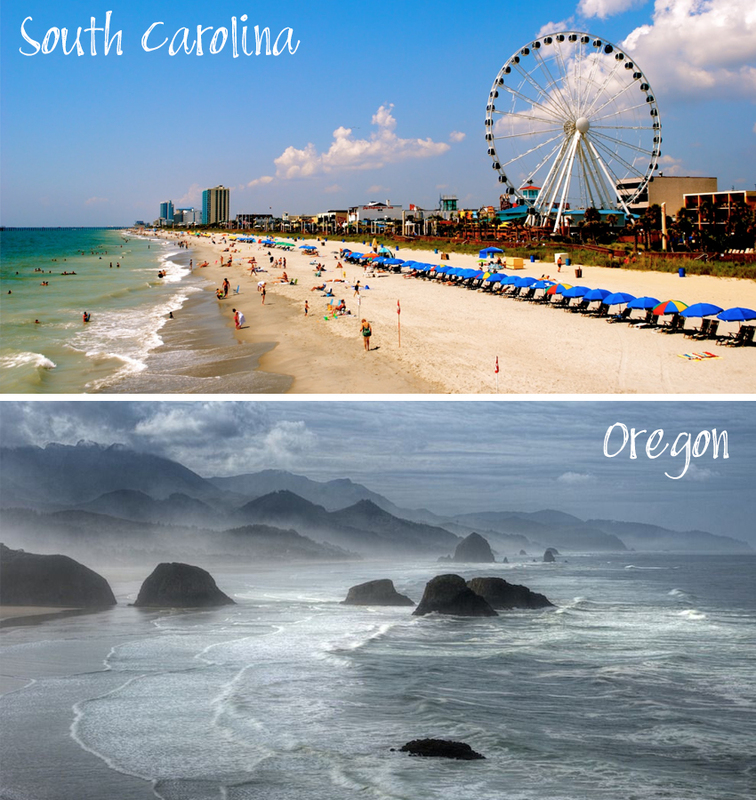 How do you like the Oregon coast? What brought you to the Northwest? To be completely honest, it was pretty random. My husband traveled through Portland on a train and really liked it. He wanted to move somewhere with water, and I wanted to be near mountains, so it was a great compromise. Plus, we really like the Cascade Mountains. How did you find out about Classic Exhibits? I found out about Classic through Eco-Systems Sustainable Exhibits, when they had an available project management position. I was really intrigued by the design elements and was offered a position with the rental team. I got my Masters in Design Management at Savannah College of Art & Design (SCAD), which is the second largest design school in the world. There was a focus on branding and business strategy. While there, I was in the Research Club, which involved researching methods and emerging methodologies. John Malkovich was our guest speaker when I graduated. What are a few skills you have attained that you’re bringing to the team? Leadership qualities, problem-solving, and I am well-versed in design, to name a few. 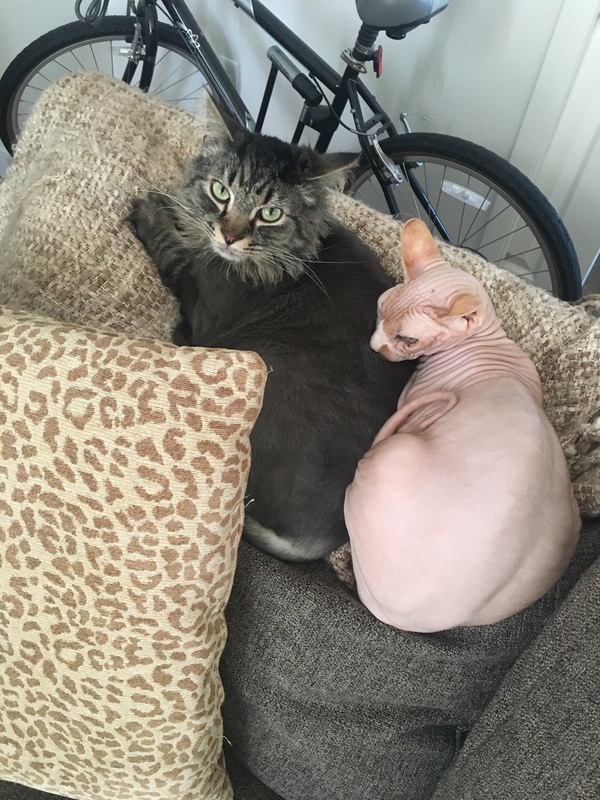 I rescued a hairless cat named, Leon (aka The Ladies’ Man or Lele). What are you most excited about with joining the Classic Family? I think I am most excited about having different projects and not doing the same thing over and over. I don’t like repetition. I like variety and working with different people. Business is booming. And Classic Rental Solutions has refined our workflow procedures and inventory to make your life easier. We believe, as we hope you do too, that CRS provides the highest quality displays available on the market. It’s no accident that repeat business has been the key to our (and your) rental success. Your clients never have to worry about their booth looking anything but perfect. Plus, they always have the added benefit of modifying their design for each show at a low cost. This helps them stay relevant to potential customers on the show floor. Ultimately, it’s all about HAPPY CLIENTS, show after show. Classic Rental Solutions is thrilled to be a finalist (once again) for EXHIBITOR Magazine’s Portable/Modular Awards. The PMA’s will be announced at EXHIBITORLIVE in February, but you can vote for your favorite on the PMA People’s Choice page. Our thanks to TPS Displays Richmond for choosing us as their rental provider for the ForRent island. We encourage you to vote (and vote often). Finally, we’ve GREATLY EXPANDED the Rental Gallery in Exhibit Design Search. Over 150 additions, all with both rental and purchase prices to make the comparison easier. If you haven’t seen our latest additions to the gallery, please sneak a peek. It’s gone from impressive to AMAZING. Stay tuned for even more updates in 2018. We’re on an exciting roll. On behalf of Classic Rental Solutions and the Classic Exhibits family, we wish you a Prosperous New Year. For the past 10 years, we have sent feedback requests to Classic Exhibits Distributors. These are emailed about every three weeks, and depending on the time of year, we send 20-30 requests each time. Not every order receives a feedback email. Instead, we target a mix of distributors. It’s not a survey. Just an open-ended request for your thoughts, good or bad. Nothing is more important than hearing from you. 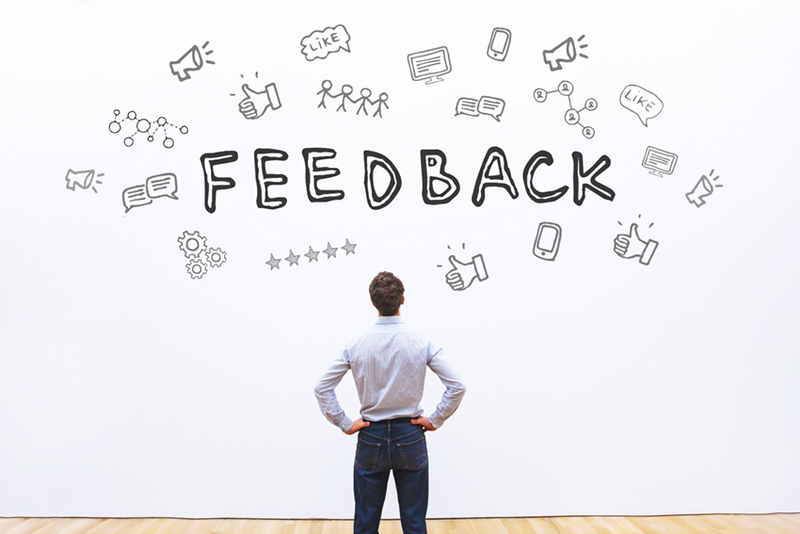 As a Classic Exhibits distributor, your feedback serves two purposes: it tells us what we did well or, if there was a problem, how we can fix it. There are no multiple choice questions. Simply reply to this email. Write as much or as little as you like about this order or about any other topic regarding Classic Exhibits. p.s. Seriously, we want to hear from you. In appreciation, we’ll email you a $10 Starbucks gift card. What could be better than caffeine? Well, lots of things, but that’s all we have in the budget. Nearly all the feedback is positive. And when it’s not, it’s constructive. Blog posts should always be reader-centric, not company focused, but I’m going to violate that rule this one time. Below are recent feedback comments from Classic Distributors. The respondent’s name was excluded but not the company. Mel, the client totally loved it! They were so thrilled they ordered a second larger one! It was fun for me to see a client so excited about a new piece of equipment. Great job, Classic! Your light box is what sold them! We have shown them many different designs and layouts over the years and nothing sparked an interest with them. They loved working with our team, but we couldn’t get a design they were happy with. Until you guys showed up. 🙂 The client (and me) loved the clean design of the light box. I have worked with many light boxes in my time and I have never seen one as good as how Classic does it. I always struggle with shadowing with the lights inside of the box or them not being bright enough. The ease of set up with the light box is also something that was a key selling point to my client. I am not the handy type but I could put this booth together. That is saying a lot! All in all your product, your team, and your customer service was IMPECCABLE and I look forward to many future jobs with you. This order went quite seamless. The client received many praises during setup mentioning how good they looked. The only area of improvement I’d like to see, is a quicker turnaround on production pictures. I often do not receive them before product ships or even until I request them. There is a piece of mind seeing pictures prior anything leaving anyone’s facility direct to show. In the rare case something isn’t quite right, and could be remedied while at the shop. Other than that, I’m always confident my orders are completed on time with little to no issues ever arising. Working with your team is always a breeze. Katina had renderings of the booth the day after I requested it, and Jeff had the quote the day after that. They both made selling this very easy with the quick turnarounds. Everything went very smoothly, even when slight changes were made. The client is very happy with their booth. They used it as a 10 x 10 for the first show. They are gearing up to use it as a 10’ x 20’ at the end of October. Thanks again to Classic and your excellent team. All is well in general. We have not heard from the client regarding this particular job since we had Momentum I&D it. Your team has been great to work with on all of our Classic Exhibits projects. I hope you can keep the ship headed on this course. We appreciate what you and your team does for us. I was waiting to hear back from my client before I sent this to you. They were extremely happy with the service and the final product. She is absolutely in love with the booth! She also keeps asking me to thank, Jeff Garrett, as he was wonderful to work with and did a great job getting the booth closer to her budget by a few changes and the look she wanted. Thanks again! Classic offers great exhibit solutions, and the exhibit itself was a great looking display. The client seemed to be happy with the outcome. The staff was very helpful and responsive, so I have only positive comments. Kevin Schuhl did a great job meeting my clients booth requirements while keeping their budget in mind. He provided both a basic budget-friendly concept and one with more of the requested “wow” factor. My client ended up going with the “wow” option. Working with Bob Beuhl was also a good experience. He kept us informed and the project on track. My only negative would be that the white blocker panels were left out of the original shipment and arrived the morning the show opened. Thankfully, I was on-site and able to install them myself rather than having labor come back out and be billed a four hour minimum. I do appreciate that we were able to start the order with only a PO and pay the 50% deposit prior to shipping. Our client was late getting a deposit to us and we really did not have time to delay the order. Finally, on behalf of Classic Exhibits, our sincere thanks to those who take the time to respond to these requests. They are very, very, very much appreciated! Do you have feedback you would like to share? No need to wait for the feedback email. Simply send an email to Kevin, Jen, or me. Better yet, give us a call. We welcome your input. There’s never been a better time to consider an inline or island from Eco-Systems Sustainable, whether you are an ECO expert, novice, or newbie. 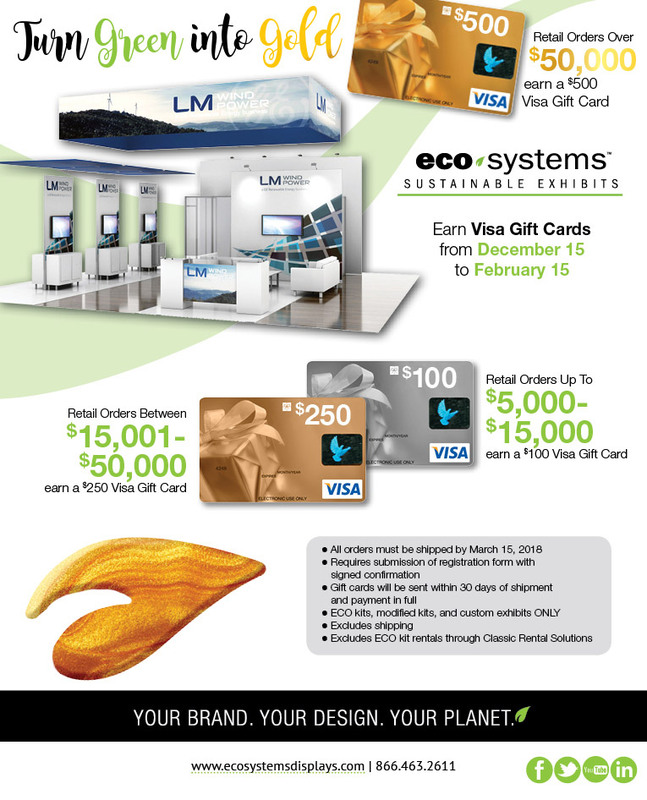 For the next two months, Eco-Systems will reward you with $500, $250, or $100 Visa Gift Cards. Who wouldn’t want a little more cash? Especially if Santa brought you a Donald Trump or Bernie Sanders Chia Pet for the holiday. Yikes! Contact their talented Designers for your next project — whether it’s a kit, modified kit, or a custom build. They do it ALL. If you are a Classic Distributor, you are also an Eco-Systems Sustainable Distributor. Sweet! It’s December and almost Christmas, which means I am just as busy away from work as I am at work. I trust you had a great Thanksgiving and have amazing plans for Christmas and New Year’s. Last week, I attended EDPA Access which was held in beautiful Carlsbad, California at the Park Hyatt Aviara Resort. Let me say, as someone who has been a member of EDPA for more than a decade, this was easily one of the Top 3 venues ever. Great layout, outstanding services, beautiful facilities, and much more. From start to finish, the content was on point, applicable to every business in our industry, and well organized. Our industry is changing because of how our customers do business. And it will continue to change. The next generation of exhibit marketing professionals are calling on us to serve them in different ways than in the past. EDPA started to address this change by replacing the “E” in EDPA to “Experiential” (from “Exhibit”). Exhibits and events, once thought to be separate things, are more and more the same. And the Exhibit/Experiential Marketing Professionals of today are largely driving this with “Emotion-Driving Experiences” being a leading theme. What does that mean? Regardless of what a person or company is buying, they expect an emotional connection with the product or the team presenting it to them. We spend 90 percent of our day indoors. It’s imperative to design environments that create positive emotions, stimulates productivity, and inspires creativity. Not just for your employees, but also for your customers in their exhibit/event space. It needs to make them comfortable and allow them to understand who you are and how your collaborate. Being an “Agile Organization” is increasingly important. Historically it has meant being everything to everyone. NOT ANYMORE. Today’s customers want companies that can help them with everything, but they appreciate collaboration. They expect you to work with partners to achieve the best outcome. It’s time to embrace a “Shared Purpose” in your products and solutions and celebrate it! If you were there, you saw the beautiful “Late Night” set we created. 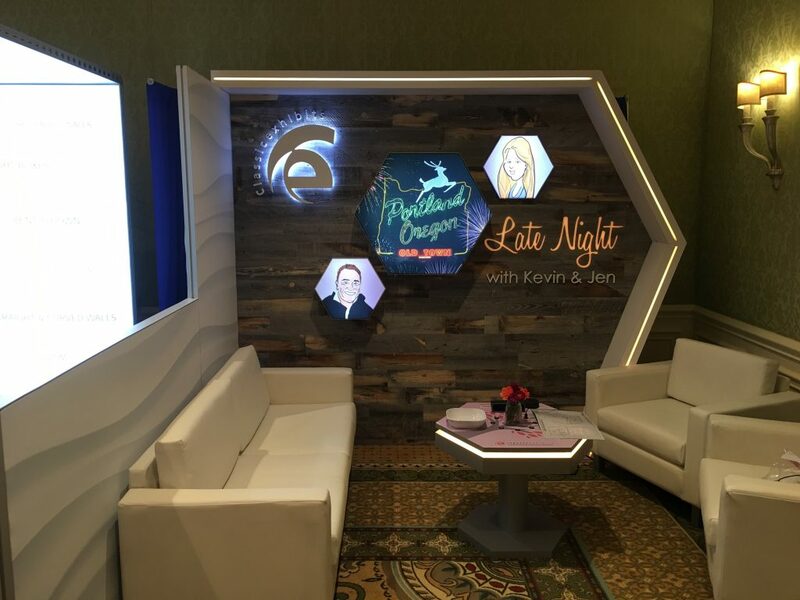 It was definitely a show stopper, not just because it looked great but because it showcased our custom wood fabrication capabilities. That was an eye opener for many who have not tapped into our custom design and wood fabrication. This segment has grown faster than any other division within manufacturing over the past two years. Yes, we still design and build modular, hybrid, and portable exhibits, but custom now represents a significant percentage of our sales. Our Late Show theme with Kevin and Jen had a special guest — Alexa. She was everything you would expect from a star — personable, knowledgeable, and witty. Alexa provided some great laughs and many “inquisitive” looks with her questions. On a personal note, I now know Brennan Curtis’s from Mostre Design “smell preferences.” There’s no way to cleanse my brain of that information. Our congratulations to those who won an Echo Dot. We might just repeat the game at EXHIBITOR. Once again, our thanks to those who spent time with Jen, Alexa, and me. We always appreciate seeing you. And special thanks to the entire team from EDPA HQ for putting together one of the best ACCESS events ever. Have a great weekend ahead with your families. 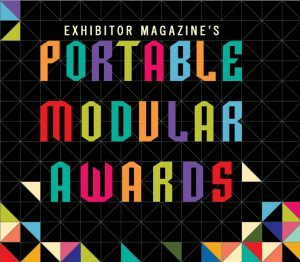 EXHIBITOR Magazine announced the finalists for the 2018 Portable Modular Awards this week. They also launched the People’s Choice Voting website where you can vote once a day for your favorite design (regardless of the category). Classic Exhibits has been an active supporter of the PMA since its inception five years ago, both through submissions and advertising. This year is no exception. We submitted five entries, and four were accepted as finalists. 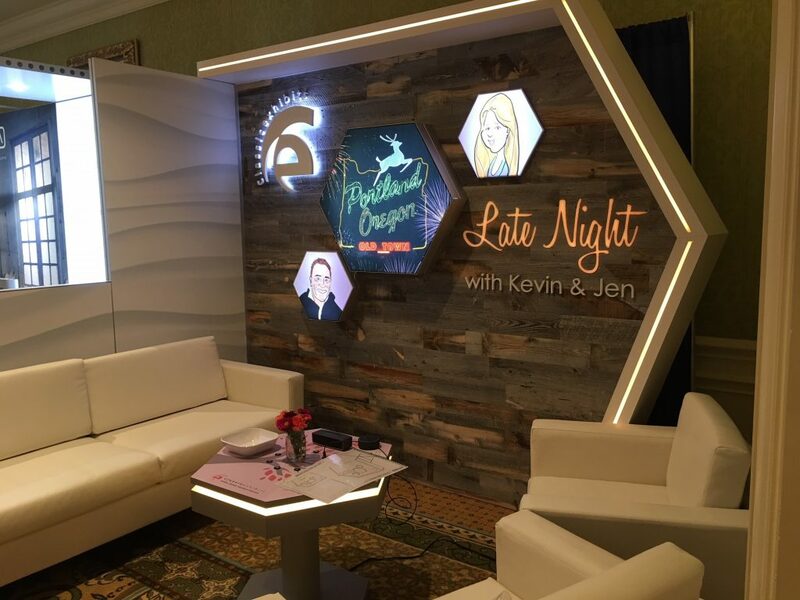 Design/Marketing Challenge: Parallon wanted an exhibit that made a big impression with attendees from across the show hall and in the booth space. They requested an open concept allowing for a natural flow of traffic through the booth and multiple conversation areas. In addition, the modular components had to fit different size footprints. Equally important was the use of technology and integrated lighting throughout the design. One big challenge was Parallon’s requirement to easily re-brand the booth for their strategic partner HealthTrust, which uses the structural components of this booth at shows where Parallon does not exhibit. Finally, the client wanted to improve their operational cost savings compared to their previous booth. Design/Marketing Challenge: ForRent.com wanted a substantial presence on the show floor with cohesive branding for all their divisions. They decided to feature all their sub-brands in their booth for the first time: ForRentUniversity.com, ForRent.com, CorporateHousing.com and After55.com. With 30 working employees in their booth, they needed a large amount of secured storage, lots of interactive demo areas for 1-on-1 sales, social media activity, and both in-depth and casual meeting spaces for building relationships with customers. The materials needed to have a residential feel to focus attention on their residential properties. 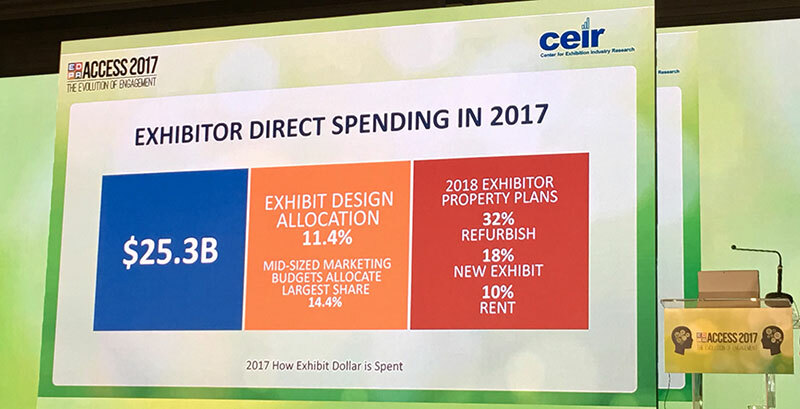 Finally, they wanted more design flexibility while achieving their goals which is why they choose a 20 x 50 rental (rather than a typical purchase). 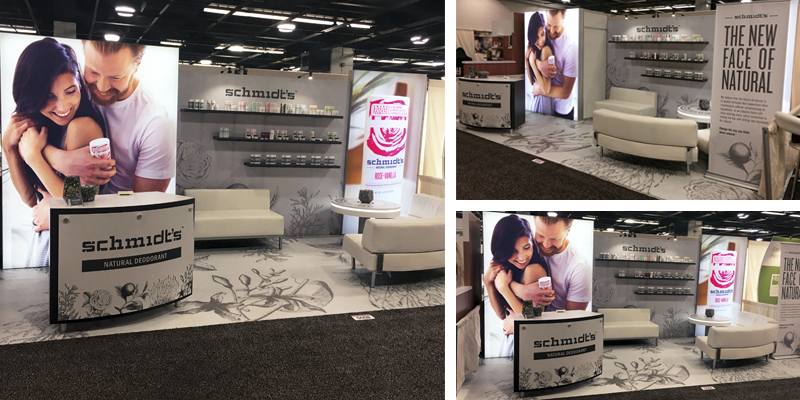 Design/Marketing Challenge: Schmidt’s Naturals wanted the natural and clean qualities of their well-established brand to be reflected in their booth. They wanted a clean product display area, storage, space for casual meetings, and an overall inviting feel. The space also needed well-organized sampling areas where visitors could smell the products. 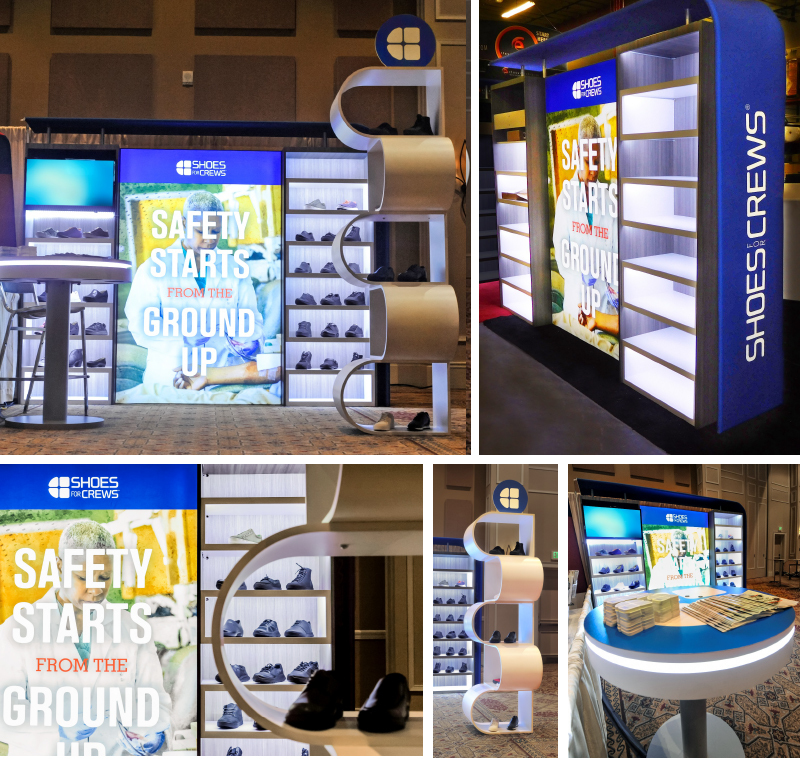 Design/Marketing Challenge: Shoes For Crews wanted their trade show displays to reflect their recent updated branding. The company participates in about 70 shows per year with various booth sizes, so they needed a distinctive, lightweight, reconfigurable, well-lit exhibit with enough shelving to show 40-50 shoes representing all their product lines. They didn’t want typical shelving; they wanted their shoes displayed in a creative fashion. Also they hoped to engage customers in their booth space with media, recreating a breakroom experience that their customers experience in their respective environments. We encourage you to vote for your favorite(s) over the next three months. Let us know if you have any questions, and we would enjoy hearing your comments about the four finalists. Finally a HUGE thanks to the Classic Distributors for their support with PMA and to Katina Rigall Zipay, our Creative Director, for submitting the entries. Winners will be announced at EXHIBITORLIVE.